Roomspiration: White on white office space. 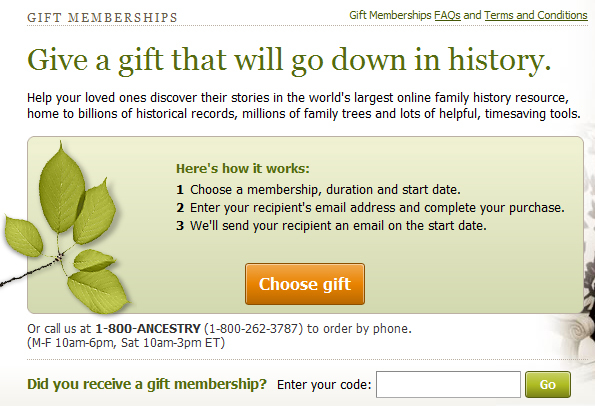 Welcome to another new feature on The Daily Wishlist. I love seeing the inside of other people’s homes – blogs like Apartment Therapy and Style at Home have me salivating on a regular basis. Today’s first Roomspiration post comes from a photo I saw on Style at Home, in their Best Interiors of 2010 piece. I didn’t realize at first that this was meant to be a dressing room/closet space – that seems to be a pretty obvious desk in the middle and I was immediately excited about having a house one day with an office like this for me to cook up all of my madness. (I’ve been really wanting my own office space lately – I don’t have an office at home, and since I’m the one in my home who has a laptop, I don’t get much use of the one desk that we have.) Not a big deal though, if I had a space this big, I could definitely see it doing double-duty as an office and a place to keep my clothing and accessories. I tend to gravitate toward dark furniture but this room is really appealing to me at all. Anyway, I have 2 items today that I think could help to recreate this room. 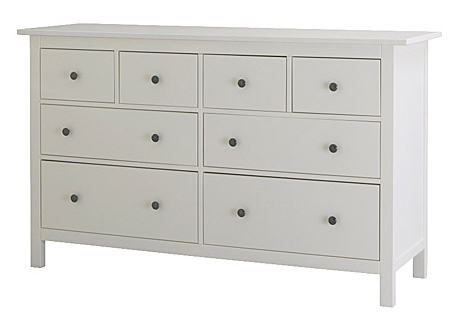 This is a dresser from the Hemnes collection at IKEA. The Hemnes collection is quite big and there are multiple options available, such that I’m sure one could recreate the storage situation happening in the photo in whatever space is available to them. This particular 8-drawer chest of drawers is available from IKEA for $299. I think this is the actual chandelier from the photo. 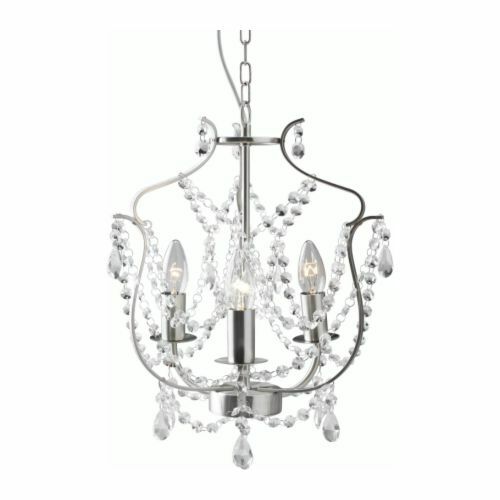 This is the Kristaller chandelier from IKEA, and is a great deal at $39.99. I like the grouping of chandeliers here but I would almost want to try grouping 3 chandeliers that are slightly different together – and bonus if I were able to find them in some sort of thrift-shopping situation. Feel free to send in photos of locations that I can use for future Roomspiration posts!